This tissue paper flower tutorial shows step by step instructions so you can make your own colorful flowers! 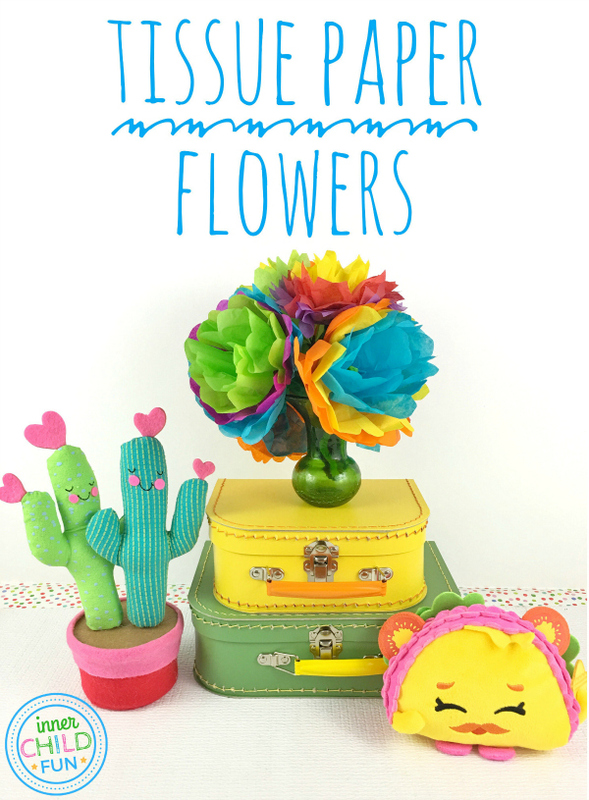 These tissue paper flowers would be great for party decorations, Mother’s Day gifts, or even Cinco de Mayo fiestas. What an easy and inexpensive way to brighten up someone’s day! Dress up your gift wrapping with a tissue paper flower on top, or arrange a bunch in a vase. These flowers are so versatile! The best part is, they will never die! Make a basket full, then give out one at a time to anyone who could use a smile! If you made these tissue paper flowers after seeing this video, I would love to hear how you used them. Leave a comment and share your ideas with us! If you would like to see more crafty video tutorials, be sure to subscribe to the Inner Child Fun YouTube Channel.